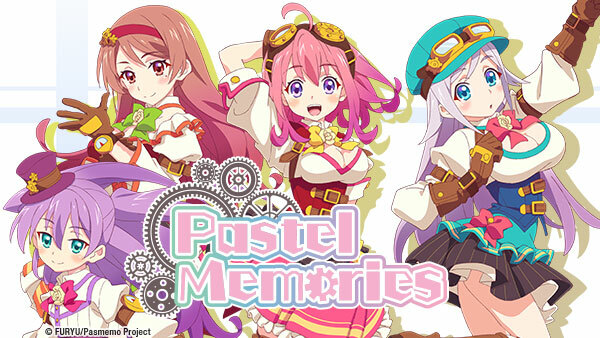 Sign up now to stream Pastel Memories, subs, tons of dubs, OVA's, simulcasts, plus the all new Dubcast℠ editions and more! A Showdown! It’s a Food Battle! Nao needs to sharpen her kitchen knife and brush up on her culinary skills because it’s time for all-out WAR against the viruses. Izumi and her coworkers try to fulfill the request of a little girl, unaware of the resulting chain of events that leads them to lost memories and unimaginable treasures. Sales are down, so the employees must come up with a special event. But more importantly, the world of “The Rosy Maidens” has fallen victim to the virus! E4 | Elementary School Kids Are The Best! Komachi will not stand idly by while “Mini Basket” vanishes into obscurity. This time, however, fighting the viruses may not be enough. E5 | Here, Here, Here, Like That? Izumi tries to bond with Rei, but the conversation gets awkward. Rei tries to hide that she likes cute things, but what will she do when the virus starts affecting hamsters? E7 | Can Fighters Make Lots of Money? It’s time to grind levels, because the viruses have taken the fight to “Quest of Phantasia”! Now all the girls need to do is figure a way past annoying video game mechanics. E8 | A Showdown! It’s a Food Battle! Kaoruko enjoys dating sims, but she keeps getting all the bad endings! Looks like some training is in order. The main character has been defeated, but all hope is not yet lost—He entrusted Ayaka with his sword. It is all up to her and her friends now. E11 | Is it true?! Final Battle in Akihabara! Despite the group’s best effort, shops keep closing. However, they can’t give up just yet! Preserving memories is far too important. While the group searches for the whereabouts of Kaoruko and Komachi, Izumi, Ayaka and Irina come to a realization.